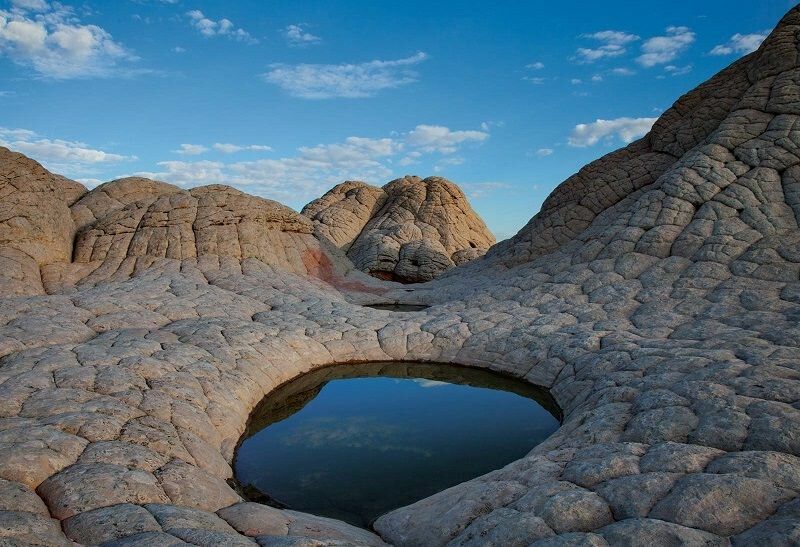 If you're looking to be surrounded only by eons-old natural formations and scorpions, the Vermilion Cliffs of Utah and Arizona are for you. 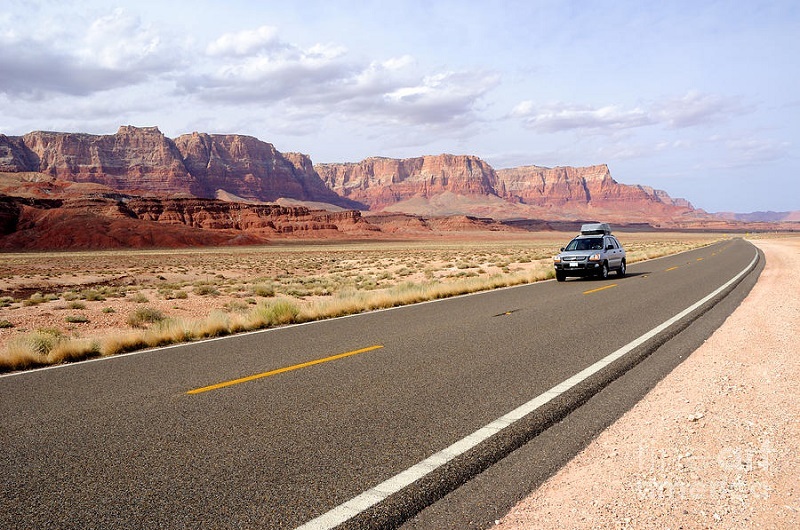 In Arizona, just south of the Utah state line, you can encounter an array of twisting reddish-orange cliffs, rock formations and valleys. 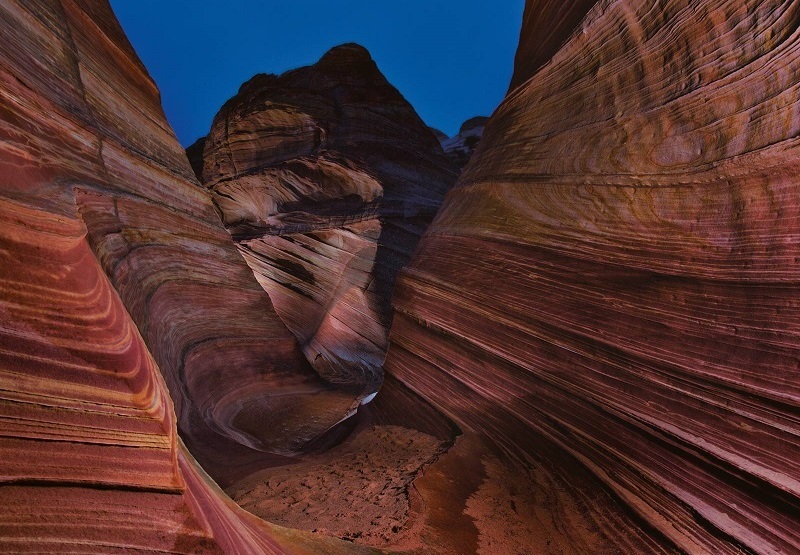 This 294,000-acre expanse of geological treasures is known as the Vermilion Cliffs National Monument, home to the Coyote Buttes, Paria Canyon, Paria Plateau and the Vermilion Cliffs. Unlike national parks that bustle with camera happy tourists, this monument is relatively isolated, quiet and serene, offering the perfect environment for travelers and visitors who truly want to get away. 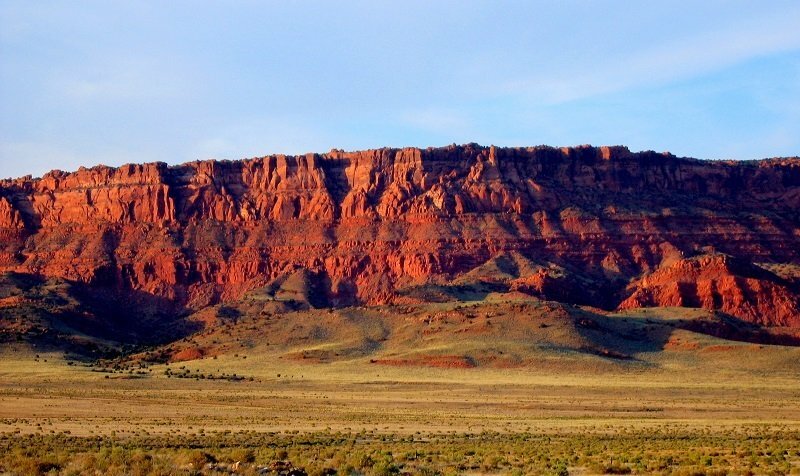 Evidence of archaic villages, burial grounds and ruins have led anthropologists to believe that it was more than ten thousand years ago that native peoples inhabited the Paria Canyon and surrounding areas. For this reason, the Vermilion is home to some of the country’s oldest known petroglyphs. 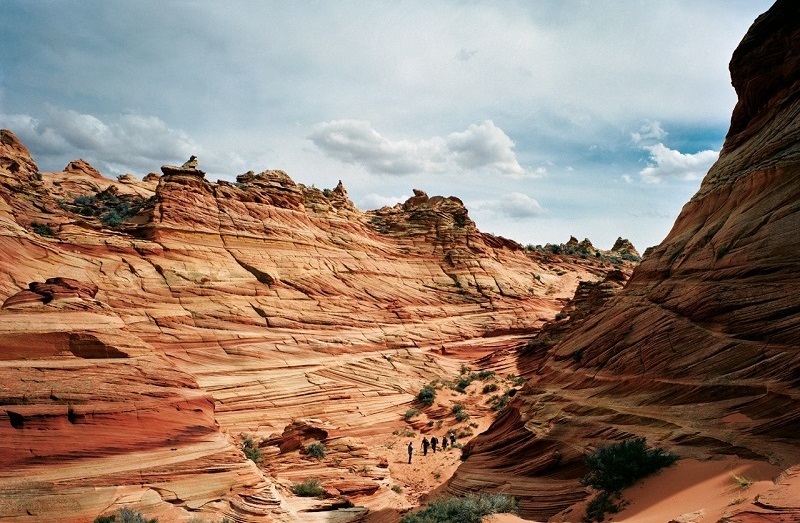 In 2000, centuries after the area’s first residents inhabited the grounds, President Bill Clinton protected the Vermilion Cliffs as a national monument due to the variety of erosional forms the area exhibits. 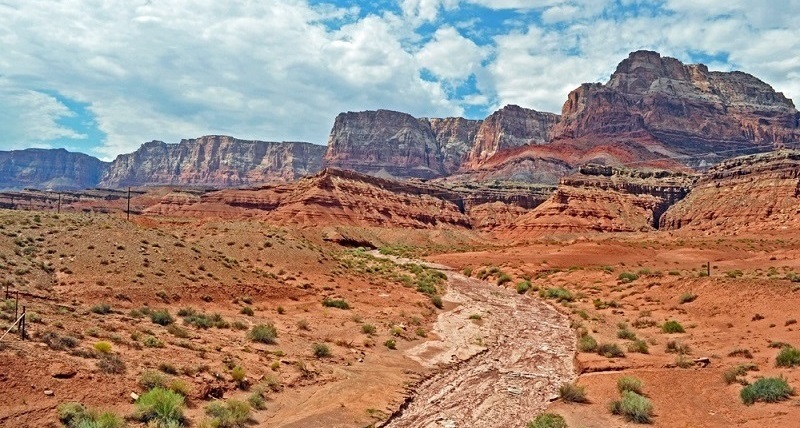 The Vermilion Cliffs themselves are sedimentary rocks that have eroded for millions of years, exposing beautiful rainbows of reds, oranges, yellows and greys. 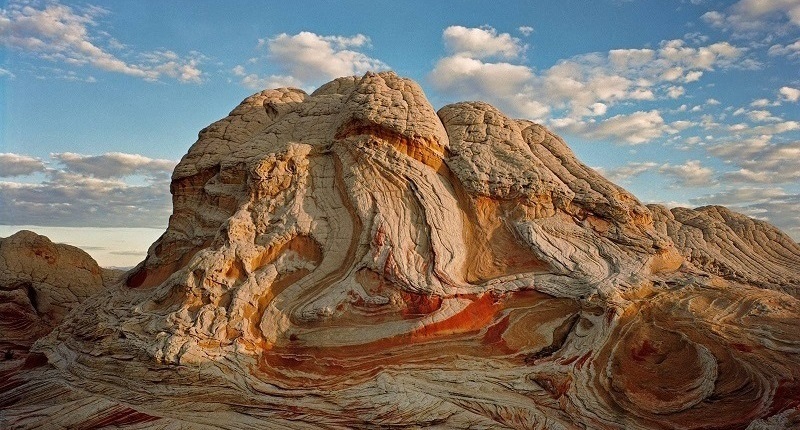 Consisting of sandstone, siltstone, limestone and shale, these richly-colored rock strata continue to change with each passing year. 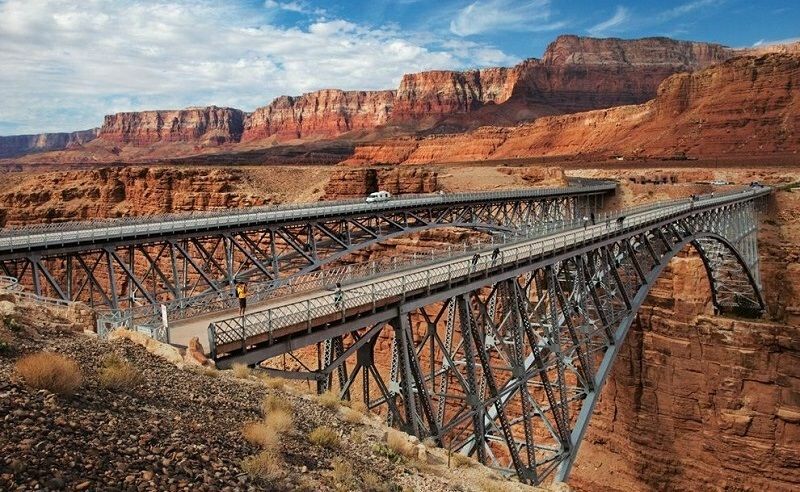 Upon exploring the monument, one will easily encounter an impressive array of mesas, buttes, steep canyons, flowing streams and large tablelands, each more impressive than the last. 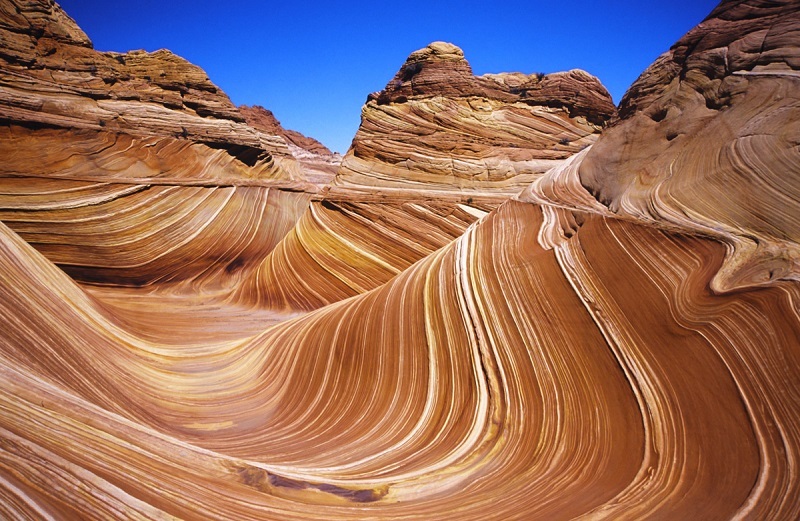 The Wave is one of the area’s most incredible, well-known features. 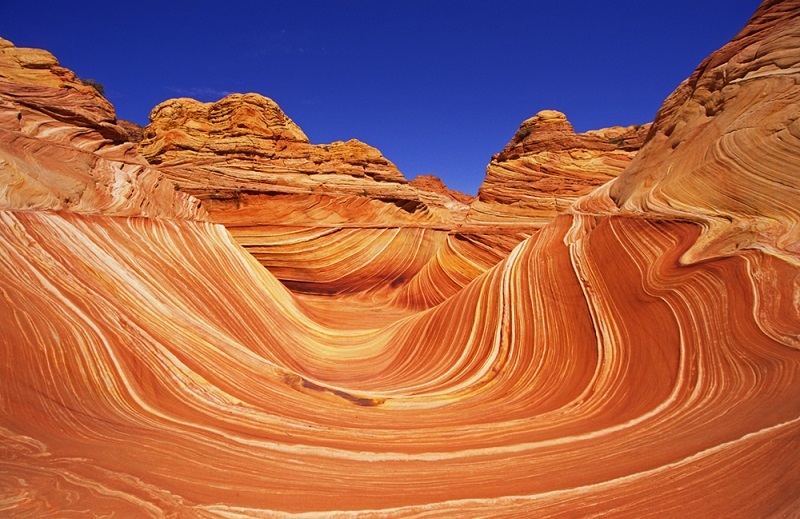 Found upon the slopes of the Coyote Buttes, the Wave is an intersection of color, light and erosion that is unlike anything you’ve ever seen. 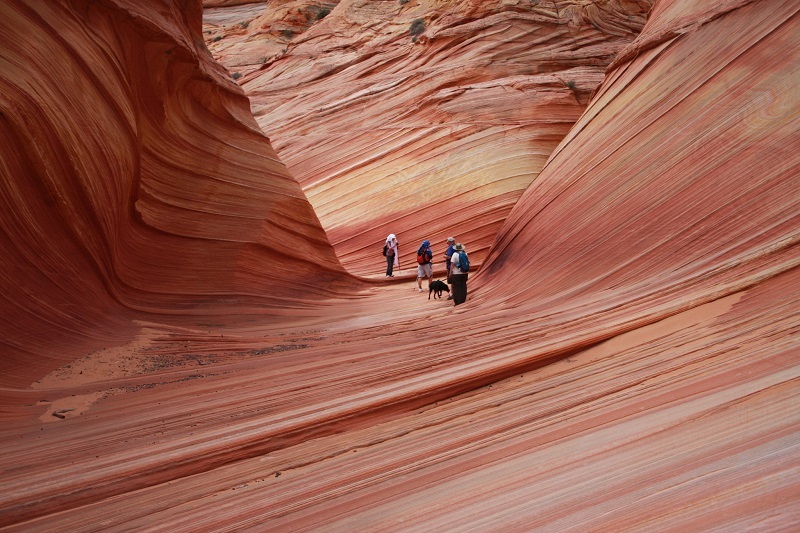 To protect this natural landmark, only twenty people are permitted to view the colorful, fossilized dunes each day. The Wave continues to be shaped and whittled down by the strongest sculptor out there, the earth’s natural and gravitational forces. 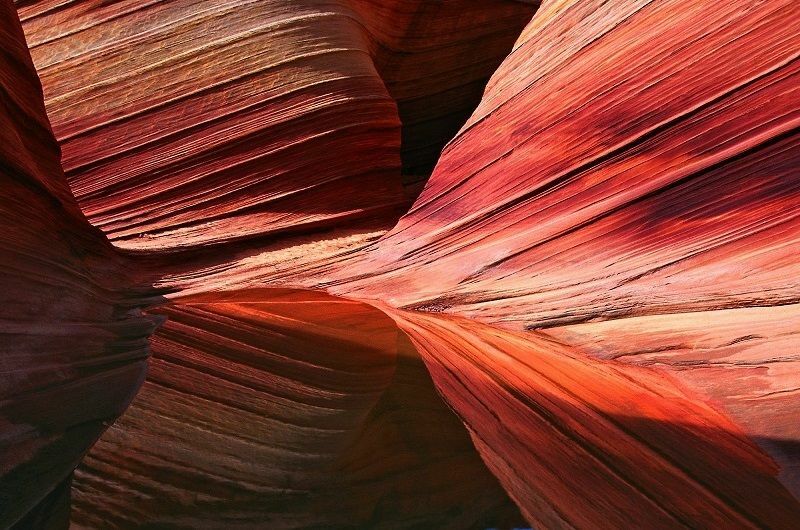 Though relatively unknown among its more popular national park counterparts, the Vermilion Cliffs National Monument offers visitors a striking example of natural elements’ uncanny ability to mold and shape the earth at will. Diverse, often dangerous, wildlife inhabit the impressive landscape, including scorpions and venomous snakes. Starting in 1996, Condors have been reintroduced into the area, where they once soared freely until disappearing in the early 20th century.